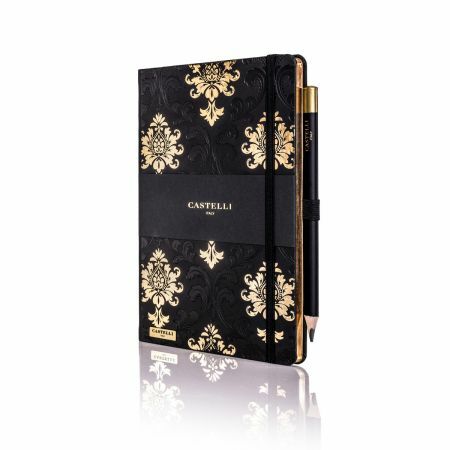 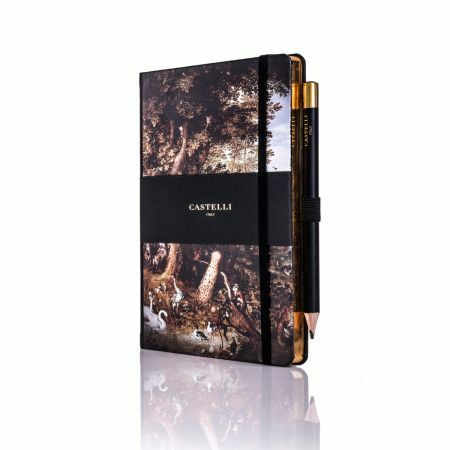 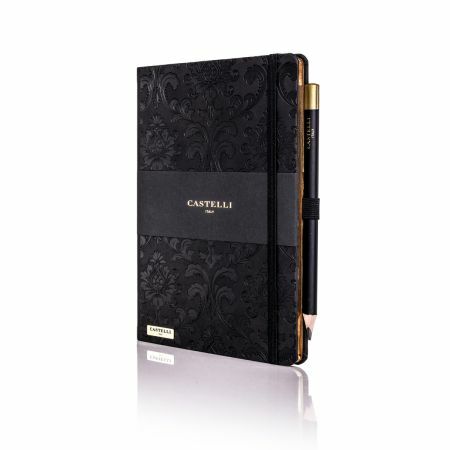 Baroque Ivory Notebook from the Castelli Black and Gold Collection, elegant notebooks featuring a striking gold and blind embossed cover design with additional luxury features that sympathetically infuse Italian design and technical brilliance. 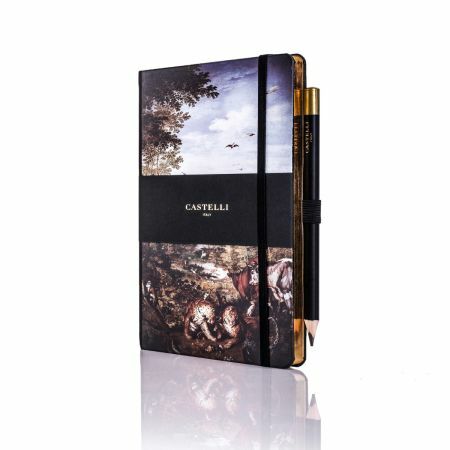 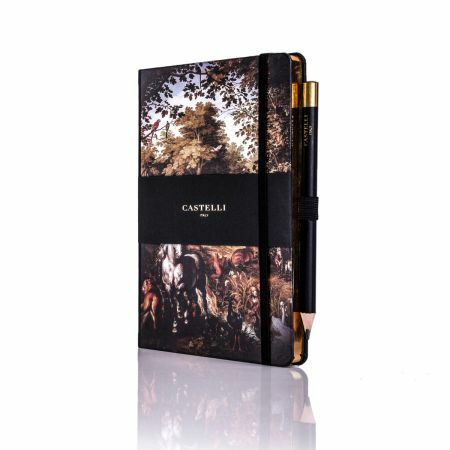 Castelli’s fine art cover design notebook featuring a natural paradise from the Renaissance period. 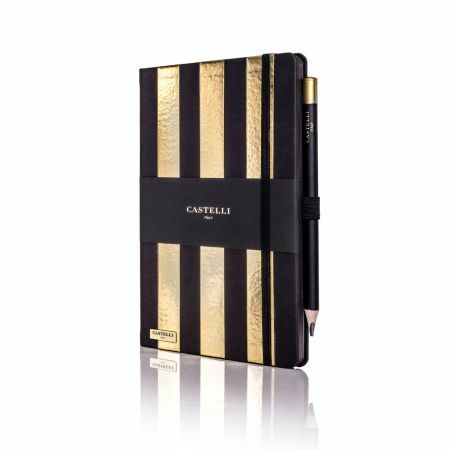 Exclusively set on a black soft touch Tucson cover with a dash of elegant gold page edging. 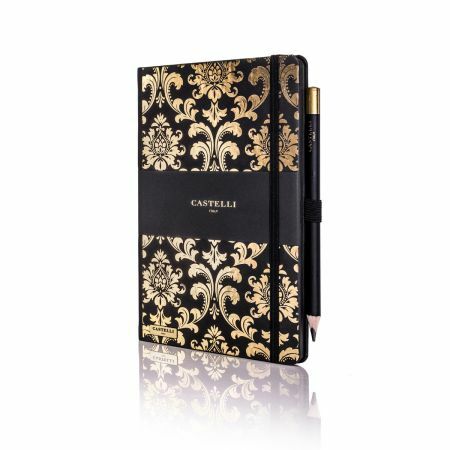 Designer notebook featuring an art deco inspired gold foil embossed pattern and detailing for an eye catching yet tactile accessory. 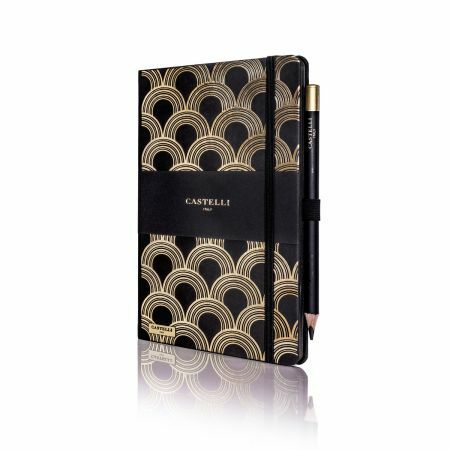 Designer notebook featuring an art deco inspired blind embossed pattern and gold foil detailing for an eye catching yet tactile accessory. Designer notebook featuring an art deco inspired blind embossed pattern for an eye catching yet tactile accessory. Art Deco Ivory Notebook from the Castelli Black and Gold Collection, elegant notebooks featuring a striking gold cover design with additional luxury features that sympathetically infuse Italian design and technical brilliance.